Meet our Featured Contributor Hasmik V.
What job category do you work in? 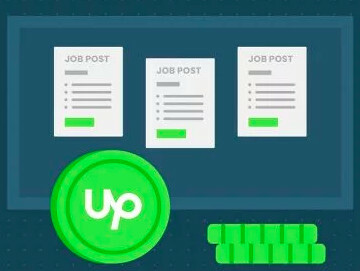 When did you begin using Upwork? I registered in January 2017 but started working in August. Tell us a little about yourself and how you got started Freelancing, or running your business online? I was always the working type, but it was not easy to both work and be a student. 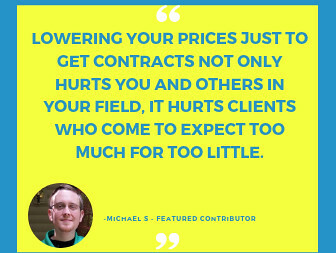 My brother advised me to register on UpWork and that was a great solution! Not only it was convenient, but also it let me do what I love most and that's WRITING! At first, it was very difficult, then little by little I could find my place and here I am! What do you enjoy the most/least about working online, Hasmik? Most of all I enjoy diversity. It's really amazing to meet new people from different corners of the world and get a chance to work on different projects. Another thing, which is very important to me is the flexibility. I still have time for my friends and family! Well, there are things I don't like, but let's enjoy the great things we have instead of complaining. What was your most successful project/contract? All of them were successful! Misunderstandings happen, but they shouldn't make us give up. 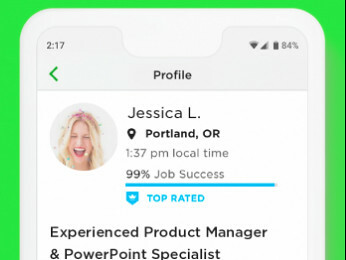 Do you have any advice for other users on Upwork? Do your best and trust God in the rest! This is what I advise everyone. Maybe that I eat non-stop and drink A LOT of tea while working, even if it's late at night. And as a child, I used to dig in our garden and when I could find something interesting I would make up historical stories about them and tell my friends. I love this community! Helping each other we will go further. Thanks Ravindra, it's always nice to see you around with interesting posts in Coffee Break. Congratulations to Hasmik for making it to the Featured Contributor spot. However, there seems to be no way to learn anything about her, since there is no "Learn More" link, and clicking on her name takes me to her profile, which I can see at any other time she is not the Featured Conrtibutor. Is it just me, or is anybody else also intrigued by the fact that while a contributor is featured, nobody can access the post? Thank you for reporting this, we will fix the link shortly. "And as a child, I used to dig in our garden and when I could find something interesting I would make up historical stories about them and tell my friends." I love this! Did you keep/publish any of your stories? Unfortunately, I didn't keep them, Well, I didn't know how to write back then. My grandpa was the one to teach me history. One of my favourite things was to sit on the map (yeah exactly ON the map) with him and hear him tell me about the ancient times. That's how as a little kid I knew a lot about history. Thank a lot Petra, means a lot to me.